Hepatocellular carcinoma (HCC) is one of the most common human malignancies. It has frequently been associated with metabolic perturbations and liver damages. Various members of the family of acyl-CoA synthetases are known to be involved in the production of bioactive fatty acids, and altered expression of its encoding genes has been found to be involved in metabolic perturbations. For the development of novel diagnostic and therapeutic HCC options, a fundamental understanding of the mechanisms associated with the deregulation of candidate genes involved in metabolic perturbation is required. A meta-analysis of multiple HCC mRNA profiles was performed to identify consistently deregulated genes. 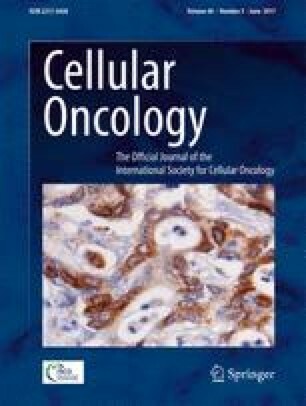 Expression of the acyl-CoA synthetase medium chain family member 3 (ACSM3) gene was subsequently assessed in different HCC tumor stages and correlated with various clinicopathological features. Transcription regulation, survival and pathway-associated features of the ACSM3 gene were investigated using integrative functional genomic and molecular cell biological methods. We found that expression of the ACSM3 gene was significantly reduced in HCC tissues and was frequently downregulated in patients exhibiting high alpha-fetoprotein (AFP) levels, high alanine aminotransferase (ALT) levels, multiple nodules and large tumors. Loss of ACSM3 expression was found to correlate with advanced HCC stages and a poor survival. In addition, HNF4α was found to positively regulate the expression of the ACSM3 gene, while PPARγ was found to transcriptionally repress it. Downregulation of ACSM3 expression was perceived upon activation of the TGFβ, WNT, AKT and MYC signalling pathways. In addition, we found that ACSM3 expression correlates with fatty acid oxidation in HCC. Our data provide evidence for a differential expression and regulation of the ACSM3 gene in HCC, and may lay a foundation for therapeutically targeting fatty acid metabolism in these tumors. The online version of this article (doi: 10.1007/s13402-017-0321-0) contains supplementary material, which is available to authorized users. This study was supported by grants from the Department of Atomic Energy (DAE), Government of India (Grant No.6/6/2008/R&D-II-230R) and the Department of Biotechnology (DBT), Government of India (MKU-DBT–IPLS programme, No.BT/PR 14553/INF/22/124/2010). Instrumentation support from UGC-CEGS, DBT-IPLS, UGC-NRCBS, UGC-CAS, and the DST-PURSE programme-supported central facilities of SBS, MKU are greatly acknowledged. Conflict of Interest for all authors – None.